Hey there! It’s been a while, hasn’t it? It’s very pleasing that someone out there is actually reading these reviews. Writing can sometimes feel like an epiphanic monologue in the bathroom: a masterpiece that no one really hears. Yes, you just read McCafe. No, I’m not kidding. Don’t judge. I walked past mentioned sign and looked to where the good old McDonalds billing counters usually were. They were still there, just considerably less crowded. The throng that once kept me from enjoying the basis of the term “fast food” now collected around these swanky new counters littered with expensive looking utensils and machinery, pristine glass cases showing off fancy confections backed by large boards describing the most tempting beverages. Ambience: I prefer the new cushioned seating to the old wood and metal chairs. The renovations for the transition from McDonalds to McCafe also brought with it a touch of colour and something else I can’t quite put a finger on. All in all, the place seems cooler, the people inside seem quieter and the place generally feels less rushed. I only had to wait about 7 minutes for my order to materialize on ceramic plates with cutlery that wasn’t made of plastic. Charming isn’t it? It was, but I have to admit that I miss the sound of unceremonious dumping of pre packaged food on a plastic tray. The familiarity is strangely comforting. Budget: I think the people who created McCafe intended to provide the starbucks experience to the masses with lighter, thinner wallets. McCafe isn’t cheap though. You’d probably spend Rs250 on a drink and some dessert. While I find that a little unreasonable, many would disagree. So, is it a date place? Definitely. The perfect blend of familiarity, reasonable pricing, variety and quality, seasoned with hints of sophistication served with a side order of McDonald’s characteristic consistency. I'm a foodie, so my recipes sometimes feature in the cuisine section. I have the sweetest of sweet teeth and an insatiable appetite that together force me to venture out and try new restaurants, cafes and sometimes street food stalls. So I was sitting at one such cafe the other day when I spotted this couple sitting at a table a few paces from mine. They looked shy, awkward and genuinely uncomfortable. Probably on a first date that wasn't really working out for either of them. I looked around thinking of how they couldn't have chosen a worse place to meet. The place was bare, no music played so it was conveniently quiet for the occasional eavesdropper. To make things worse, an excessively helpful waiter would keep coming by and asking if they needed anything making it worse than it already was. What does this have to do with my cuisine article? I gave it a good thought when I got back and I figured the most unusual (but fun) thing to do would be to review the best date places I come across and HumourUsly put forward their flaws and strengths. So here's the first one. Hope it helps! This little cafe is caught right in the middle of Colaba causeway. Between the excitement of finding a shop selling something you really like and the terror of being swept away by mobs of rushing shoppers you probably wouldn't stop and take the time to go in and check the place out. But most people (such as myself) will tell you that you must. Ambience: This two storied restaurant may seem small but I'd rather call it cozy. With large crowds perpetually passing by, the feeling of awkwardness eases. Plus, considering you're in the middle of a shopping district bursting with diversity, colour and all things Indian, comic relief presents itself quite often. There's only one word I can use to accurately describe the staff at Piccadilly - busy. With the number of customers they receive everyday, the people here don't really have the time to be nosy. Be that is it may, the service is fast and fairly faultless. Basically, you won’t be bored, bothered or hungry. 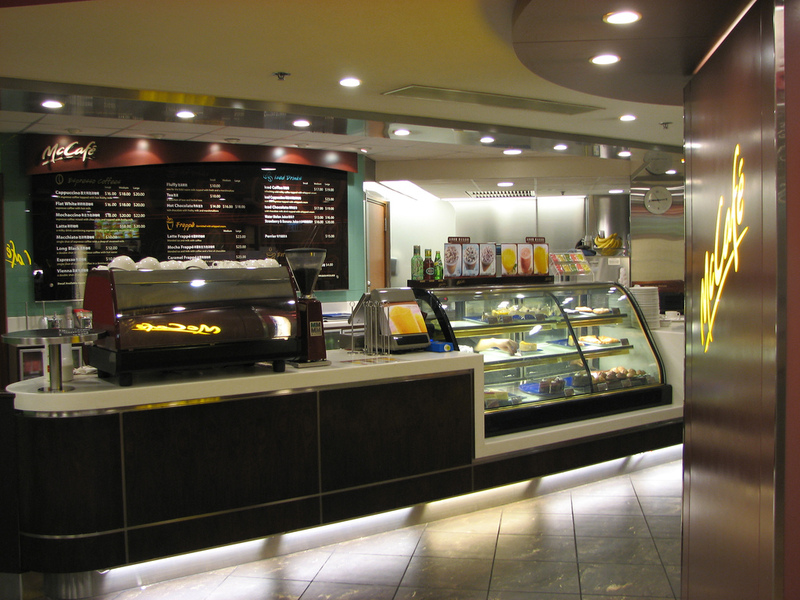 Food: Piccadilly serves Lebanese, Iranian and Continental food. 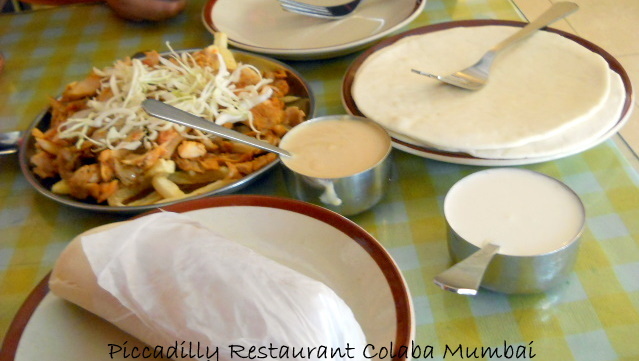 While most restaurants would slap on an authentic sounding name to a wrap and serve you a stuffed paratha, Piccadilly doesn't. I strongly recommend their Lebanese preparations, especially the chicken shawarma. I've been visiting the cafe for 7 years now ordering that and an iced tea almost every time. The taste has always been consistent (consistently yummy enough) and I've never returned with an upset stomach. Budget: If you went with someone and ate and drank as much as your stomach could handle before bursting in a million little shreds (sorry for being graphic), you'd probably end up paying... wait for it... around 350 per person! But you probably wouldn't eat that much so let’s stick with 250-300: a more balanced figure. Boys (or girls, since I don't believe in that kind of differentiation), if you want to come across as chivalrous but secretly don't want to end up spending too much, now's your chance to suavely 'reach for the bill'. Or you could just be modern and split the bill, it’s more economic and it works out for everyone. Hope this helps. Leave suggestions and criticism in the comments below (preferably suggestions, I'm a little bit of a sore loser where criticism is concerned). To a female teenager living in Mumbai, it is nearly illegal to not like the rains. But there you go. I said it. I’m an exception to this norm. My favorite part of the monsoons does not lie in the stormy showers outside but rather lies indoors. My favorite part of the rains is the food. And if I were writing about food, it would be criminal to not start with the classic gem of “Coffee”. Here's the thing. There are few things on this planet which I love more than food, and coffee even tops that list. So, when my mother taught me her secrets about baking, cooking and seasoning food, I was sure to pick up her best coffee tips as well. Now, don't get me wrong. I am no coffee connoisseur. Frankly, I can't tell the difference between different instant coffee brands, let alone the fine features of decoctions, filter coffees and percolators. But, the one thing I do know by now is that coffee is the most versatile drink. Many of you may not agree with me here, but hear me out when I say it can be molded like clay! 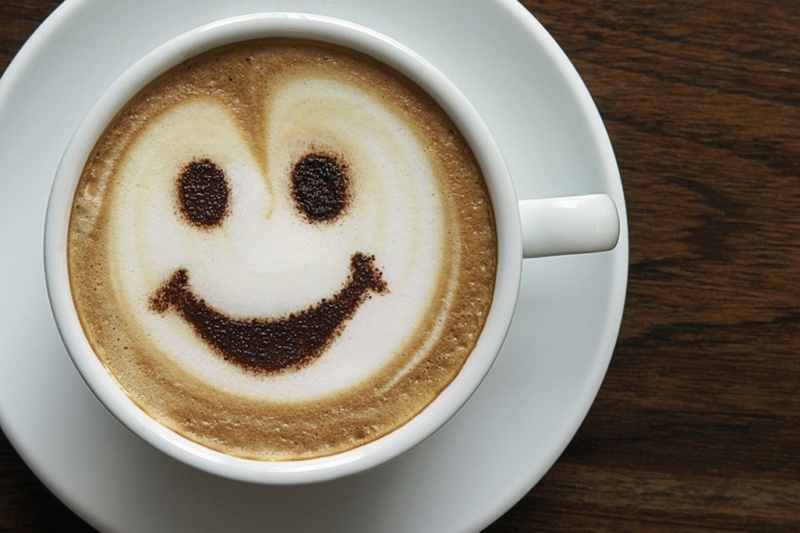 With a little bit of practice, you can ensure that your coffee suits your mood perfectly every day. And trust me when I say, if you're a teenager, you'll want a different cuppa every day – to suit your many moods of course! 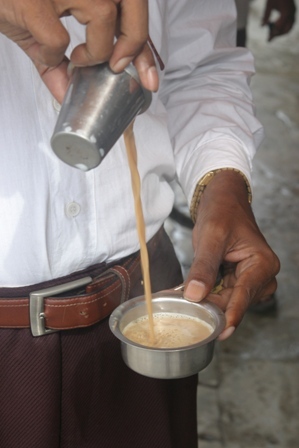 My favorite coffee is the steeping hot "filter kaapi" which is served at numerous South Indian joints in Matunga. If you ever get the chance to have it, please don't miss it – even if you aren't a coffee person! The way I have my coffee at home, is like good old Bournvita – mix in a little instant coffee, some sugar and milk and voila! But you'll be surprised at the number of variations you can create even with this simple recipe. So here are some tweaks you might want to make to your daily dose of caffeine. I can't really explain why these are the best variations for different moods, but they're just something I've discovered through trial and (lots of) error. Feel free to mix around, make changes and create your own recipes! • For the early morning dose:- Try to keep the milk less than boiling hot, and stir in a little more than the usual amount of sugar. Perfect way to rush off to college! • For the it's-raining-outside cup:- Keep the milk hot, reduce the sugar and increase the portion! You might want to add a dash of liquid chocolate here, or maybe even a pinch of cinnamon for more interesting results. • For the back-home recovery dose:- This is the cup over which you catch up about the day's events with your family. Reduce the milk, and try not to take more than a spoonful of sugar in your mug. Let me get a word of advice right here, and say that it is not a good idea to have all of these different kinds of coffee in one single day! I usually just have one or two, and I suggest you try to keep it that way too. The thing with instant coffee is it can just as easily become the hero of several other dishes. Blend one teaspoon of instant coffee in your whipping cream, and frost your cake with this mixture. The color on the frosting with the aroma of coffee is irresistible, and I promise that your cake will become the highlight of the meal! (This tip is especially useful for covering up ruined cakes!). Or you could add some coffee to a chocolate mousse mix. Or even sprinkle some on a tiramisu. •Baking Powder – ½ tsp. •Baking Soda – 1 tsp. •Unsweetened Cocoa Powder – 6 tbsps. •Vanilla essence – 1 tsp. •Hot water – 2-3 tbsps. 1. Preheat the oven to 180 C, 10 minutes before baking. Lightly grease the cake tin and line with parchment paper. 2. In a large bowl, sift together the all-purpose flour, baking soda, baking powder, cocoa powder and sugar. Make a well. 3. Add all the wet ingredients one by one. 4. With an electric mixer, beat the mixture on low speed for 2-3 minutes until the dry and wet ingredients are well combined. Do not over beat it. 5. Pour the batter in the prepared pan. Tap the pan a couple of times so the batter is spread evenly and there are no air bubbles. 6. Bake for about 30 min. Check the cake with tooth pick. Toothpick inserted in the middle of the cake should come clean when the cake is ready. 7. Once out of the oven, transfer the pan to a wiring rack to cool. After about an hour remove the cake from the pan and let the cake cool completely before icing. 8. For icing – combine the softened butter and cocoa powder with a hand whisk or a wooden spoon. Add a little of hot water and mix well. Add 1 cup of icing sugar and vanilla essence. Mix well. Add a tbsp. of hot water; if required, mix and add one more cup of icing sugar. Combine well. Do a taste test and add more sugar if required. Also, add more hot water to suit your required consistency. 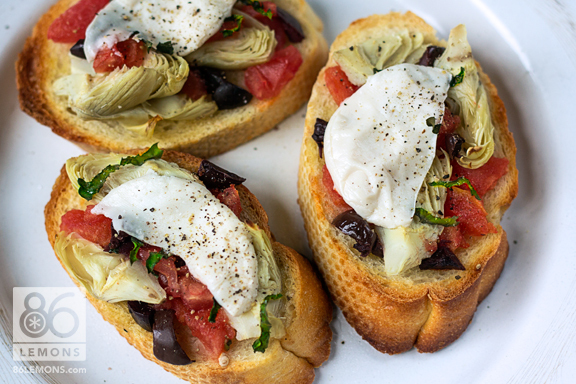 Crostino, meaning “little toast,” originated in Italy as an appetizer made originally using Italian Ciabatta (bread). These days Crostinis are made using French bread as well; using a variety of topping ranging from vegetarian to non vegetarian. This recipe is vegetarian in Mediterranean style. Be free to experiment! · Slice the French bread into even round shapes, 8 baguettes should be enough. · Chop the garlic and mint finely and thinly slice the tomato. · Mix the garlic, mint and tomato with 2 tbs olive oil (black pepper optional) and pinch of salt (to taste) in a bowl and set aside. · Return the Crostinis into the microwave and grill for 3 minutes.